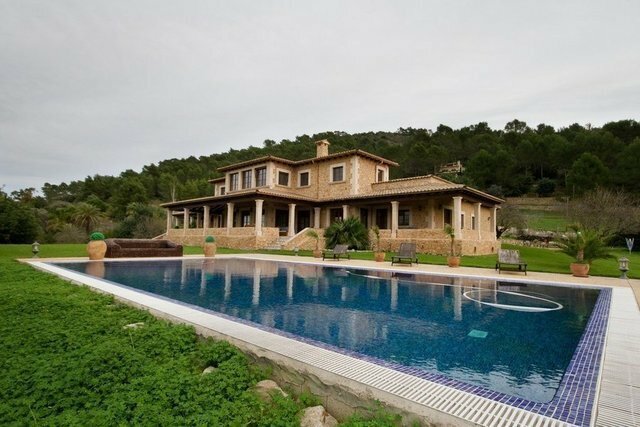 Stunning newly built Mallorquin style finca located a short drive from Inca village. Entered via electric gates, the property is positioned at the highest part of its plot offering dramatic views of the Tramuntana range. The property comprises, on the ground floor, a large entrance hall with WC, sitting area which leads onto the dining room which then flows through to the fully fitted ample sized kitchen breakfast area. All rooms offer triple glazed wooden doors that give access to a large covered terrace overlooking the private pool and gardens. A further three bedrooms all with marble ensuites on the ground floor. Upstairs the master suite, a study, walk-in wardrobe that leads through to the master bathroom. Underground parking for twenty cars.